According to the American Geological Institute Glossary, erosion is the natural process whereby the materials of the earth’s crust are loosened or worn away and simultaneously removed to another place. These natural processes, in an increasing order of power, are gravity, wind, ice and water. Gravity contributes to any natural removal mechanism. However, in the examples shown here, gravity is by far, the main agent. The simplest is the tumbling of rock debris down a steep mountain slope. Clearly this rock debris had to be disintegrated and dislodged first and that may be done by water seeping through the rock cracks, turning into ice and expanding, thus causing the widening of the cracks. Another important agent is plant roots that, as they thicken, widen the joints along which they grow. These dislodged fragments tend to accumulate on minor ledges (fig. 46) and may suddenly be displaced by, for example a rain storm, and violently fall down the slope forming a rock fall deposit. 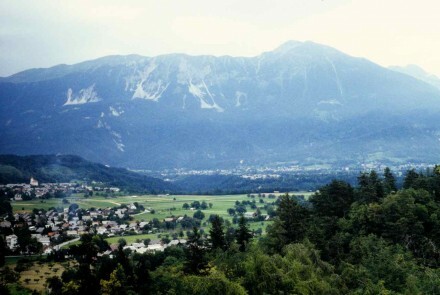 Figure 46 – Mountain side rock scree accumulation (Bled, Slovenia). 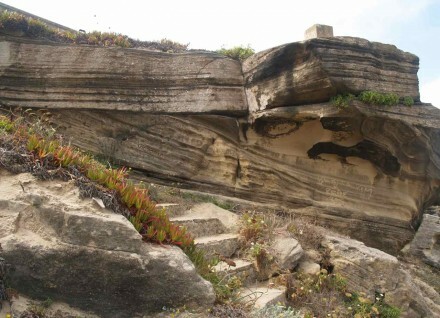 Much more serious, for safety reasons, are rock falls down coastal escarpments along popular tourist beaches, as the fairly recent example shown in figure 46B demonstrates. 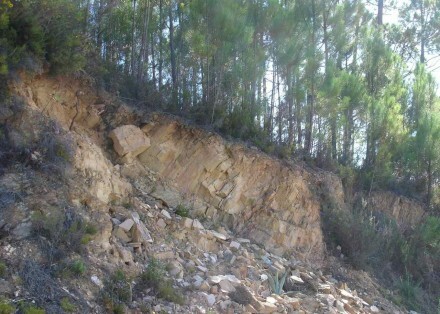 Examination of the picture shows at the crest of the ridge a ledge of erosion resistant limestone underlain by a clay rich, very easily erodible, poorly consolidate sandstone. As the ledge becomes progressively more undercut, gravity will initially cause the development of weakness cracks (fig. 46C) and eventually the collapse of large blocks, with potential, rather serious consequences. Also very important in regions with lots of rain, is the down hill flow of the upper fraction of the weathered rock/soil, due to gravity and known as soil creep. 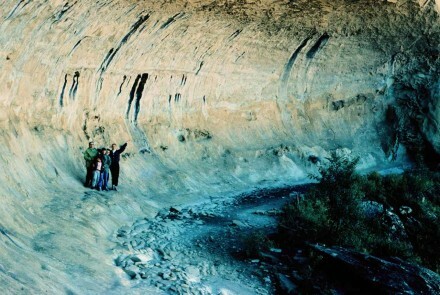 This can be seen in figure 46D, where the upper sector of the moderately well bedded weathered shales have bent slightly downhill because of sliping down the steep surface slope assisted by the lubricating effect of the water. Again, serious repercussions may occur when, after torrential rains, soils become supper saturated and suddenly a large segment is released causing a land slide (fig 47). This is naturally aggravated when the ground is partially or totally denuded due to land misuse. Figure 47 – Land slide on farm land caused by the monsoons (Orissa, India). The places where the erosional effect of the wind is most noticeable is where the ground has poor or no protective vegetation cover, that is, in arid climates. Figure 48 is not mine. I got it from the internet, but it is so spectacular that I felt it must be included. 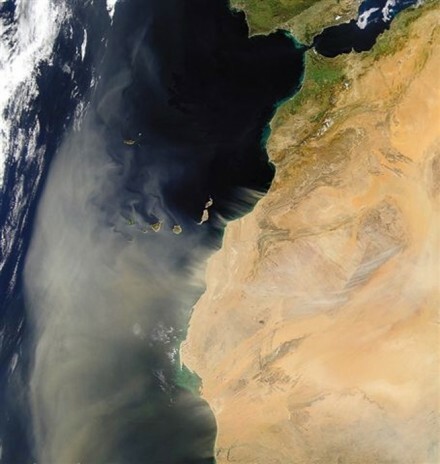 It is impressive to see how the Sahara sand is entirely covering the Canarias Archipelago, Madeira Island as well as a large sector of the Atlantic Ocean. Often, on the Eastern side of Las Palmas, there is a distinct haze in the air and I wonder if it is not due to the desert dust ( fig. 2). Naturally wind is also a magnificent sorting mechanism since the stronger it is, the larger the grains it will be able to carry. 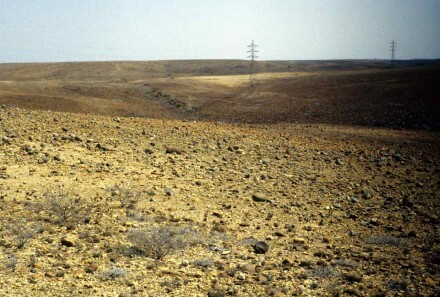 As a consequence, one of its effects is the formation of what is known as a desert pavement. That is, a surface covered by a carapace of clasts too large to be transported by the wind. Further, this carapace of larger clasts, due to the continuous blasting of the sand in movement over it, becomes highly polished. My example (fig. 49) is not particularly good, but it gives the general idea. 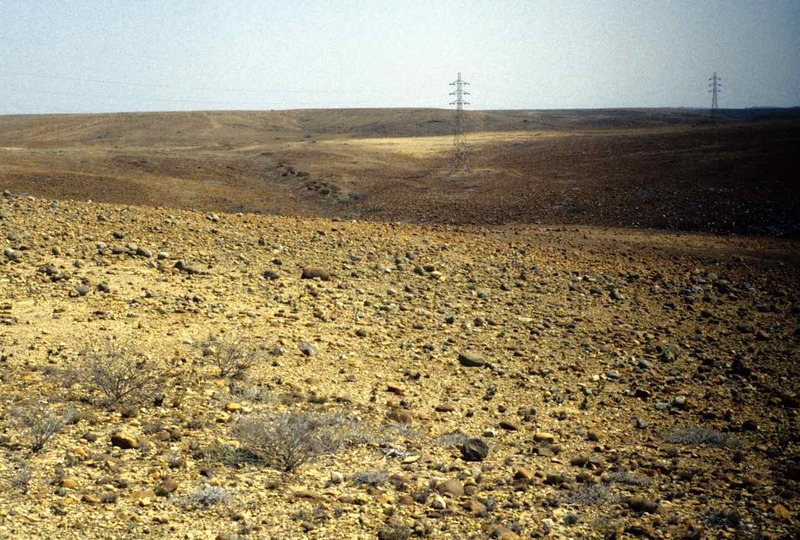 Figure 49 – Partial desert pebble screen (Namibe Desert, Angola). The effect of the sand blasting is noticeable not only on desert floors, but also on outcrops of all types. For example, in the Golden Gate region of South Africa, there is a sandstone formation termed the Cave Sandstone (fig. 50). 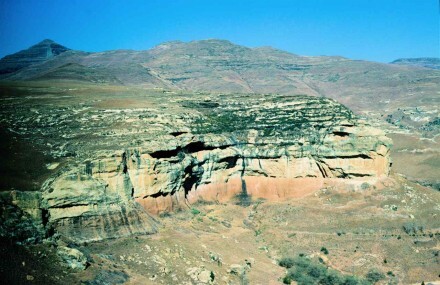 Figure 50 – The Cave Sandstone, with abundant aeolian caves (Brandwag, South Africa). Not entirely coincidental, this sandstone has an aeolian origin, meaning that it is rather fine grained and poorly cemented, thus easily erodible. 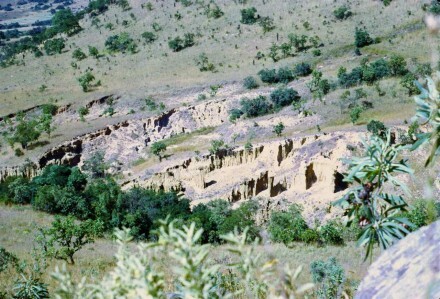 At the mountains where these photos were taken, the vegetation cover is poor and the wind may be very strong, giving rise to numerous caves caused by the blasting of the sand carried by the wind. A closer view of these caves shows how different they are from those formed by weathering. 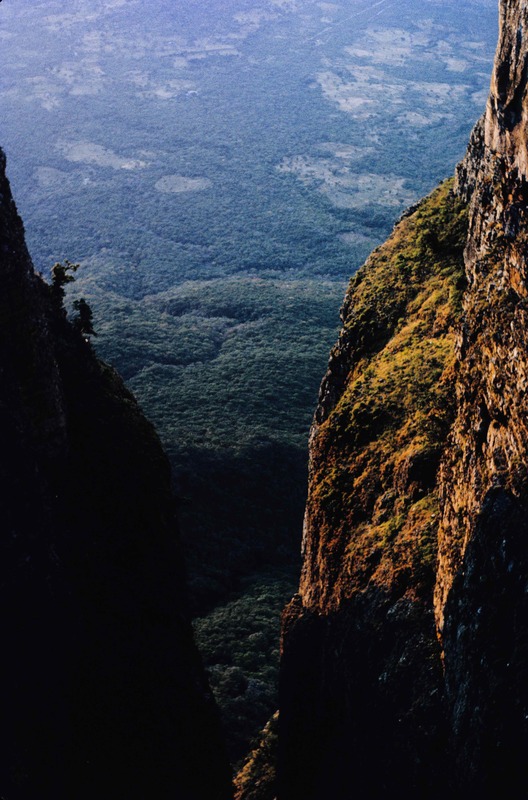 These wind caves have an elongated half pipe shape created by the tunneling effect of the wind flowing through the valleys (fig. 51). 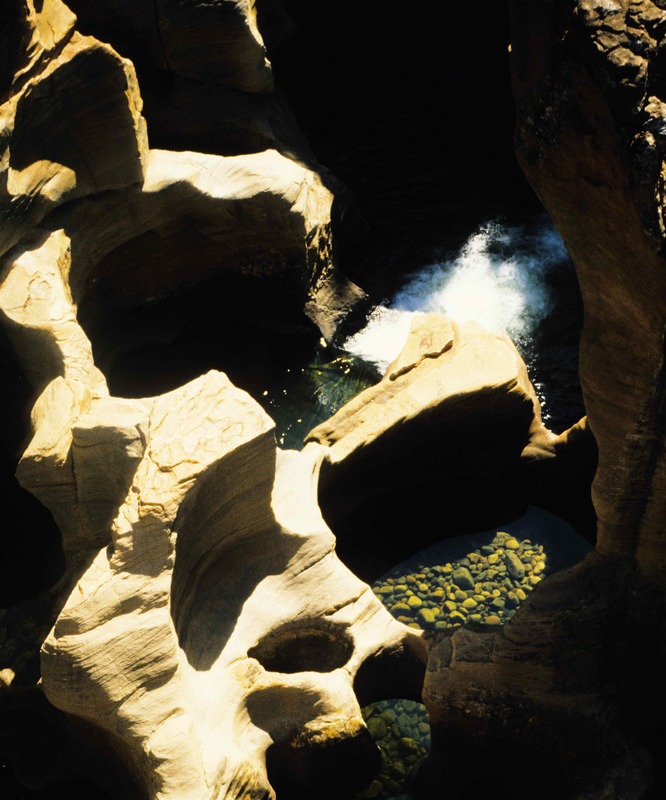 Figure 51 – Closer view of one of the caves (Brandwag, South Africa). The actual detail of the wind blasting has an interesting honey comb appearance (fig. 52). 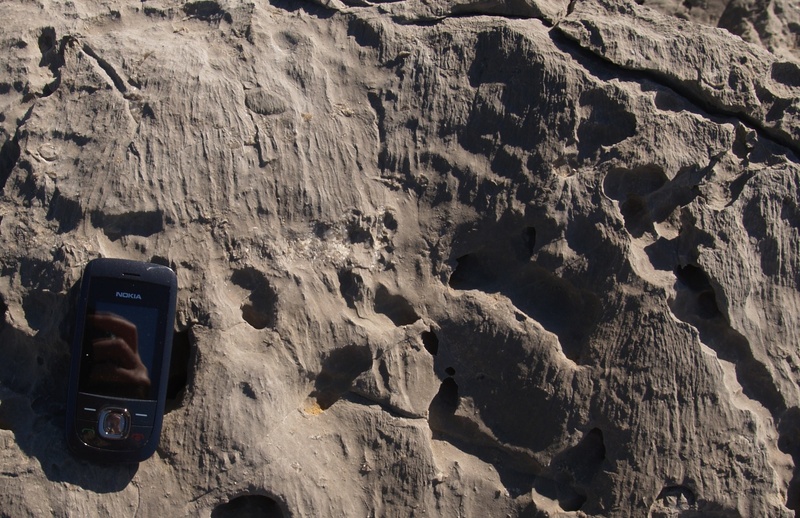 ￼Figure 52 – Detail of the holes caused by the sand blasting (Brandwag, South Africa). It is not surprising than, that the blasting sand on a windy day at the beach hurts the legs so much. 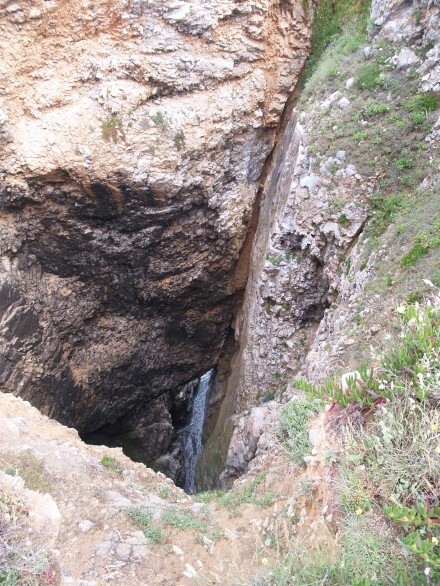 See how it pits a granite outcrop at one of the Cape Town beaches (fig. 53). 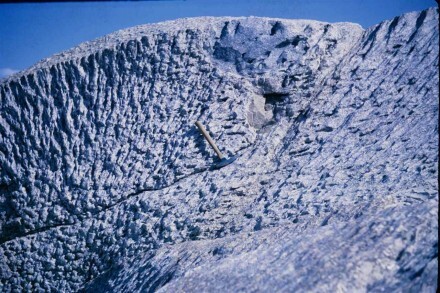 Figure 53 – Sand blasted granite outcrop (Cape Peninsula, South Africa). And how deep it goes, even with a tough fresh granite (fig. 54). Notice also a suggestion of striations at the top section of figure 53. 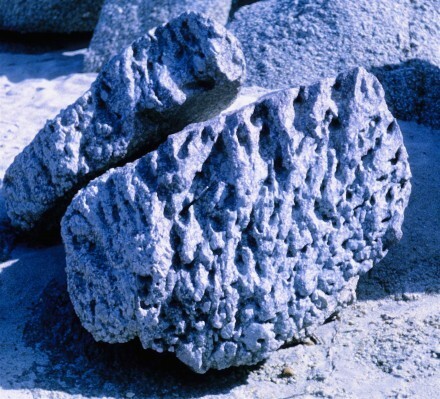 Figure 54 – close up of sand blasted granite outcrop (Cape Peninsula, South Africa). 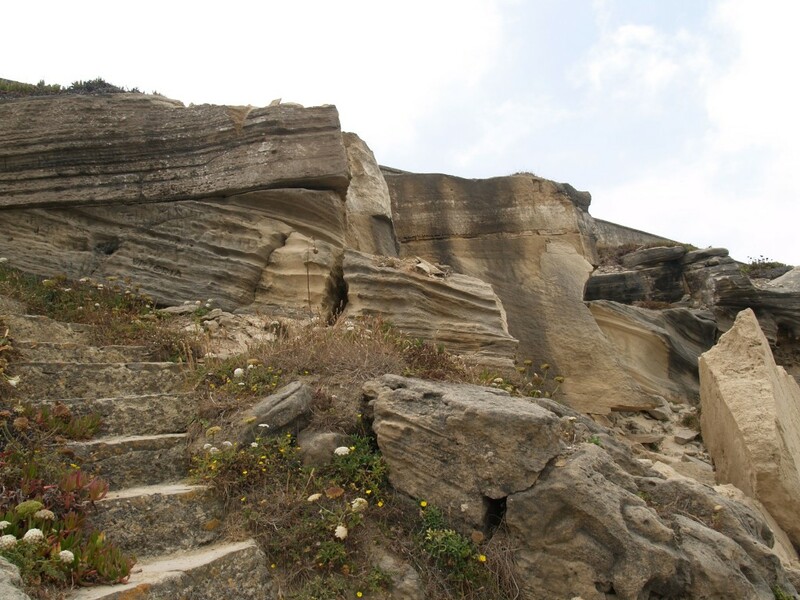 This effect is quite different from that on a limestone outcrop at the Abano Beach near Cascais, Portugal (fig. 54B). In the latter case pitting is not visible but there is a very distinct although fine, striation. I think the difference is because in Cape Town the sand is coarse grained and most likely the prevailing winds are almost perpendicular to the granite outcrop. On the other hand at the Abano beach, the quartz sand is very fine grained and the prevailing wind is quite oblique to the outcrop. 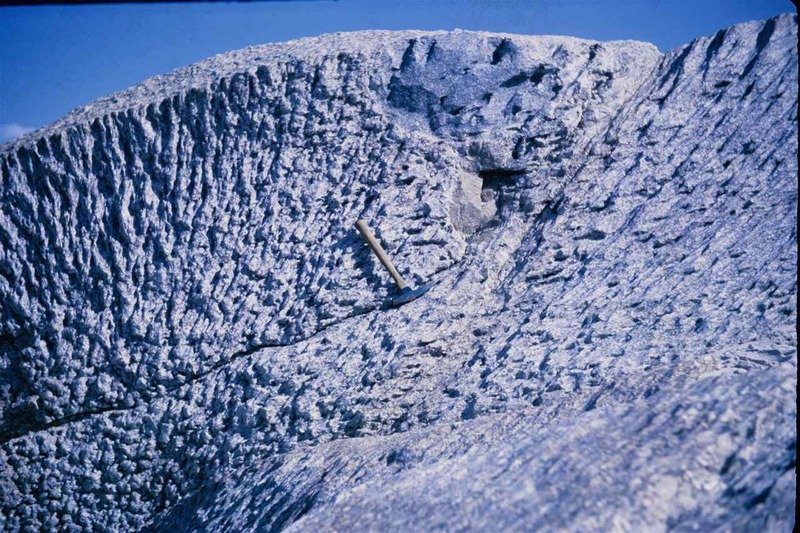 The first action of ice erosion, as mentioned above (item 4.1), is the enlargement of rock fractures caused by the volume increase as the water contained within freezes (frost shattering). Although very effective, this type of rock breaking is rather localized. Far more spectacular are the glassiers. As they flow, the clasts being transported scrape against the valley wall, shaping a typical “U” section (fig. 54C) as well as causing very characteristic striations and faceting on the rock outcrops as well as the clasts carried within the ice. By initial stage I mean the effect of falling rain. Before the impact of climate change started being felt, in Europe as well as other temperate climate areas, rain tended to be very gentle and hence ineffective as an erosional agent. 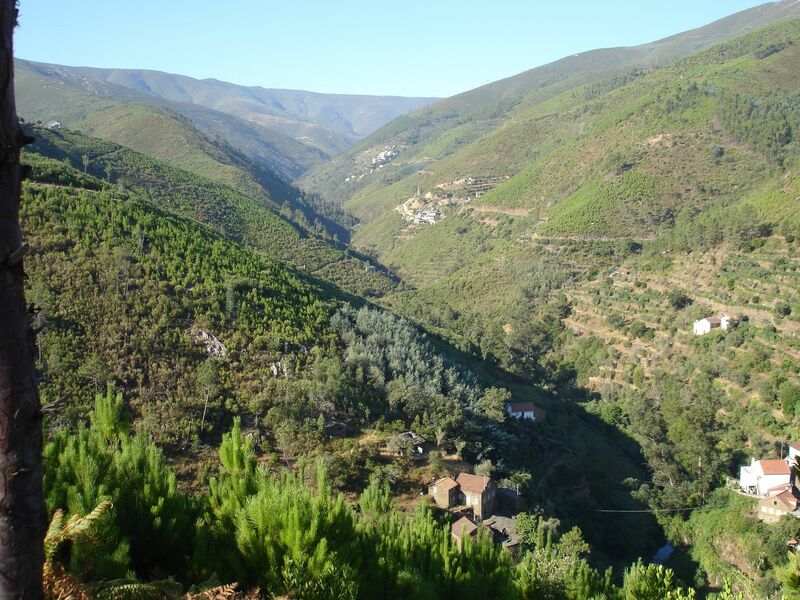 In fact, it used to impress me that in a country with long and very dry summers like Portugal, the farmers do not bother to do contour plowing, even when their fields are on steeply inclined ground. Further, they all plow up and down the hill, because it is more convenient I suppose. In Africa on the other hand, where rain is predominantly torrential, contour plowing was the absolute norm to prevent “bad lands”. 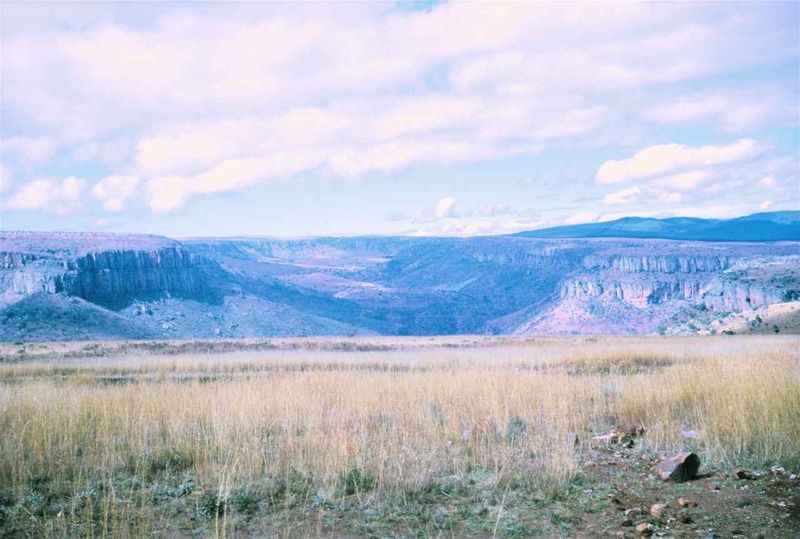 Figure 55 is an example, but in this case the vegetation denudation was due to overgrazing. 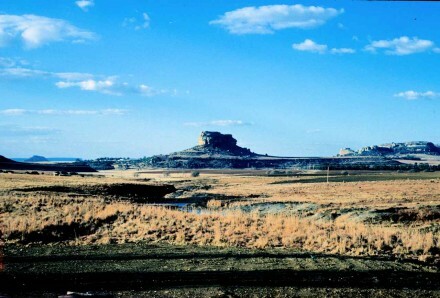 As it is apparent, the area being eroded has practically no vegetation cover. The serious consequence, is that it is almost impossible to rehabilitate bad lands. 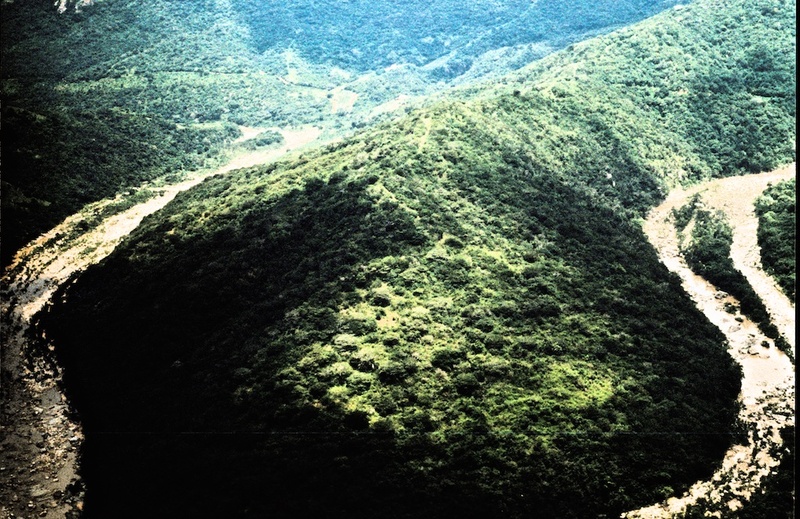 Figure 55 – Initial development of bad lands (Barberton Mountain Land, South Africa). So, for bad lands to develop, the ground must be relatively barren and the rain must be of the torrential type. It is not surprising therefore that the best examples are in arid regions, where although seldom, when it rains, it pours and the surface is practically barren of protective vegetation. A good example is on the Eastern side of Tenerife, that is, the arid side. Figure 56 shows how the bad lands effect spreads once the protective upper hard lava flow cover has been cut through and the poorly consolidated underlying pyroclastic horizon is exposed. 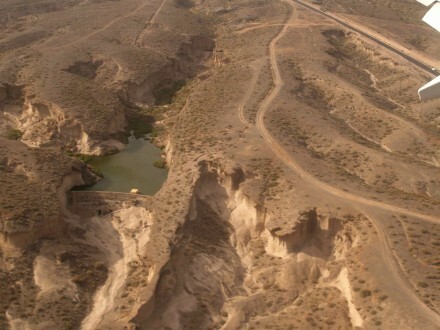 Figure 56 – Bad land formation in arid country (Tenerife Island). Finally, to show how destructive bad lands can become, see the huge area ruined in Angola as a consequence of poor farming procedures and how deep the destruction is (fig. 57). 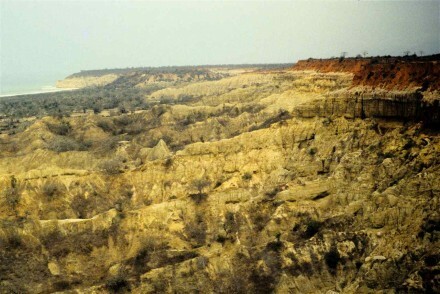 Figure 57 – Bad lands locally termed “moonscape” – overall view (Vicinity of Lobito, Angola). The situation there is by far the worst I have seen, and it will become even worst, because that area has a tropical climate where torrential rain occurs all the time. That is, there will be a very rapid increase of the erosion rate, forming deep gullies in a process known by the very explicit term of ravinement, very clearly shown in figure 58. Figure 58 – Bad lands locally termed “moonscape” – close view showing deep ravinement (Vicinity of Lobito, Angola). 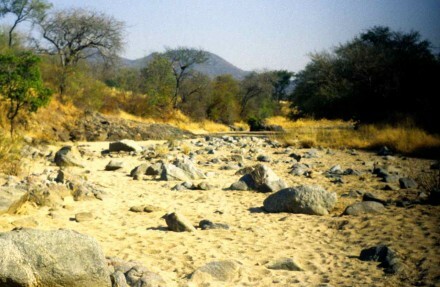 Continuing with arid regions, torrential rains cause flash floods and river beds that for most of the year are dry (fig. 59), suddenly carry enormous volumes of water with a huge content of suspended materials of all sizes, thus capable of destroying whatever is in its path. I did see this type of violent flash flood only once and I was so amazed that by the time I reacted, there was nothing to photograph. Figure 59 – Typical ephemeral river bed in a semiarid region (Bentiaba, Angola). However, the effects over an extended period can easily be photographed, since they tend to form quite impressive canyons, especially in areas where the sediments are poorly consolidated (fig. 60). 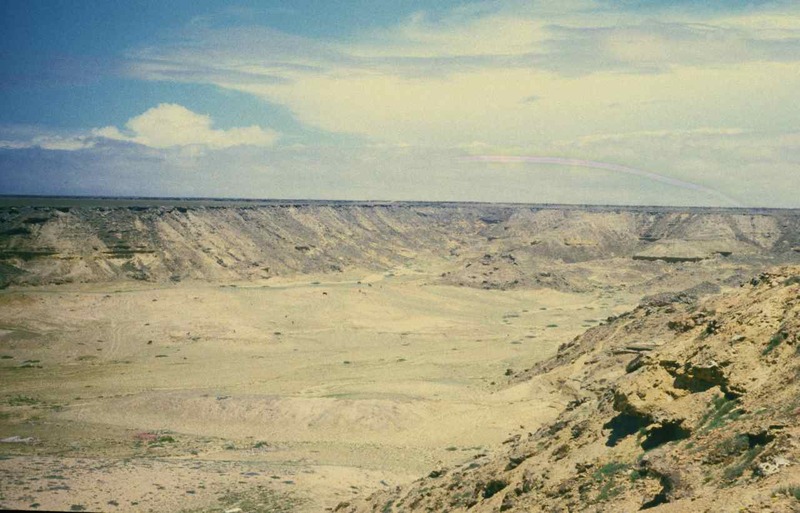 Figure 60 – Desert canyon (Namibe Desert, Angola). Overall, rivers are rather well behaved and their erosional effect tends to form a very distinct V Section (fig. 60B), quite different from that of the glacier (fig. 54C). Figure 61 – View from the highveld to the lowveld through the Tundavala gorge (Leba, Angola). 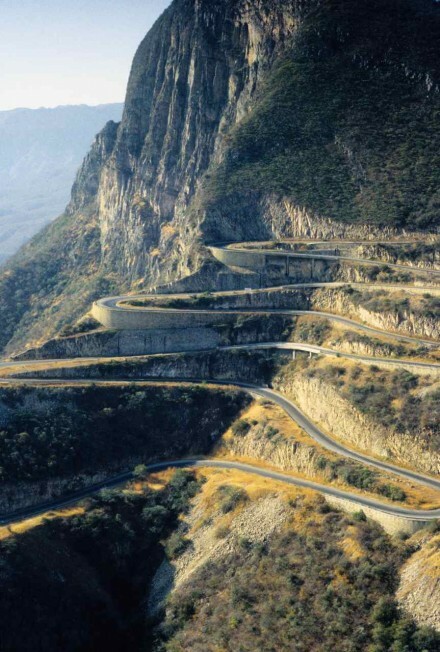 and where impressive civil engineering was required to circumvent the problems of constructing a road down such a steep escarpment (fig. 62). 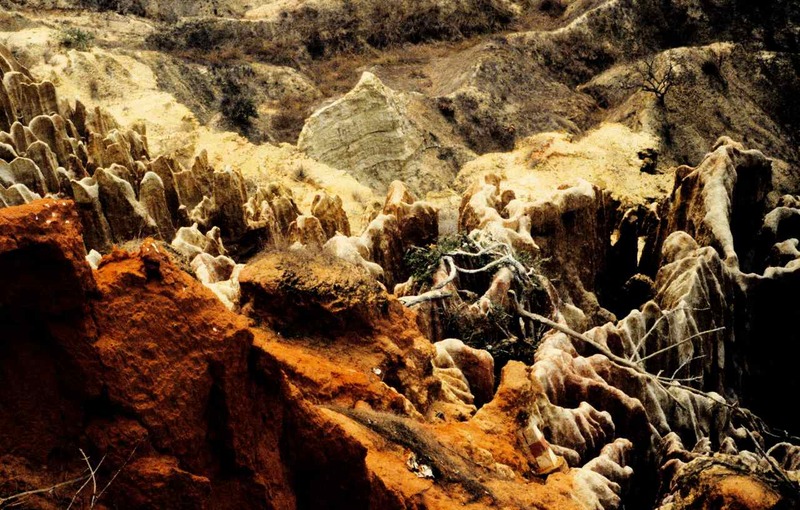 Figure 62 The road down the escarpment (Serra da Leba, Angola). 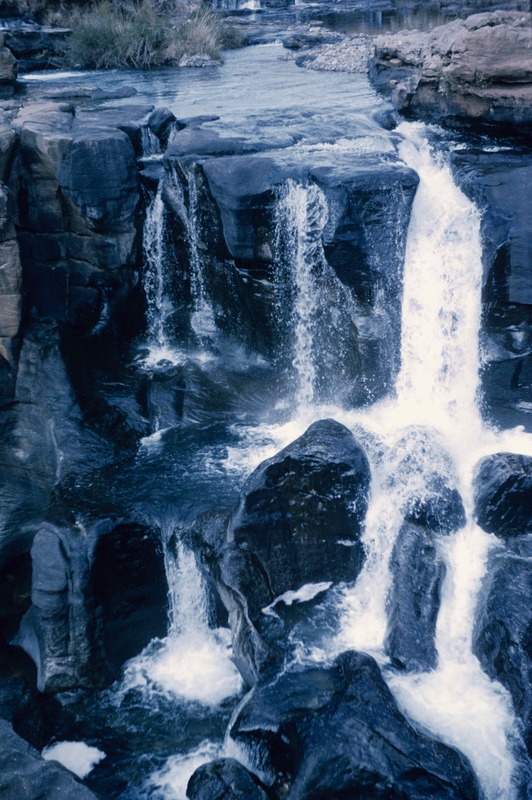 Rivers running along the plateau form spectacular falls over such escarpments. 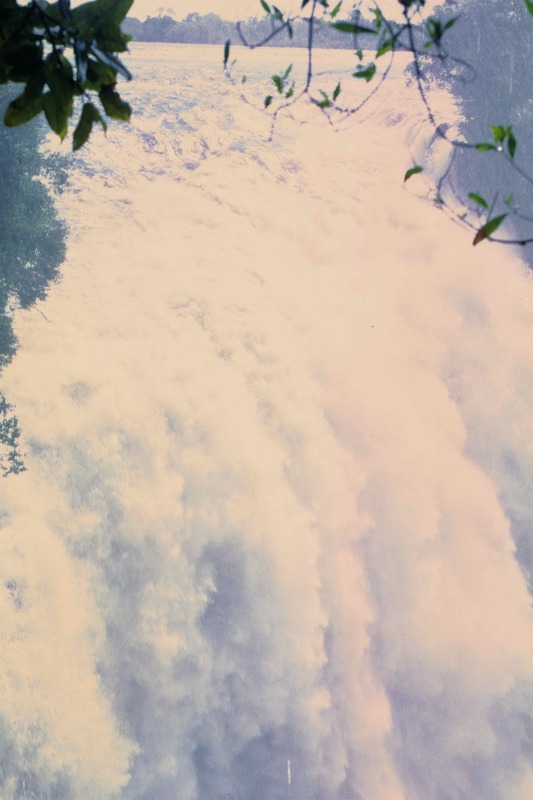 The Victoria Falls on the Zambezi River, is the greatest example (fig. 63), and shows the immense amount of energy contained in a river of those dimensions. It is not surprising therefore that they are capable of cutting back into the escarpment and entrench themselves. Also, the present plateau was originally a flat coastal plane with typical meandering rivers. Thus the entrenching will maintain that meandering, making it quite spectacular (fig. 64). Figure 64 – Incised river meandering (Umzimkulo River, South Africa). 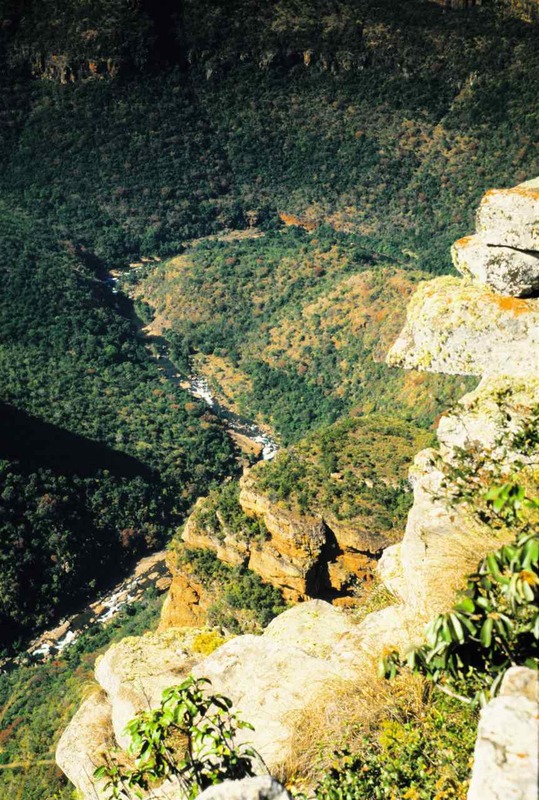 Figure 65 Formation of potholes in Transvaal Dolomites – The upper section (view approximately 3 m high) (Bleyder River, S. Africa). and figure 66 shows the actual grinding pebbles at the bottom of one of the potholes. Notice how well rounded these pebbles have become. Figure 66 – Abundant well tumbled clasts at the base of one of the potholes (view approximately 3 m high) (Bleyder River, S. Africa). Naturally this pothole effect does not occur only in soft rocks. It is just as common in granites. 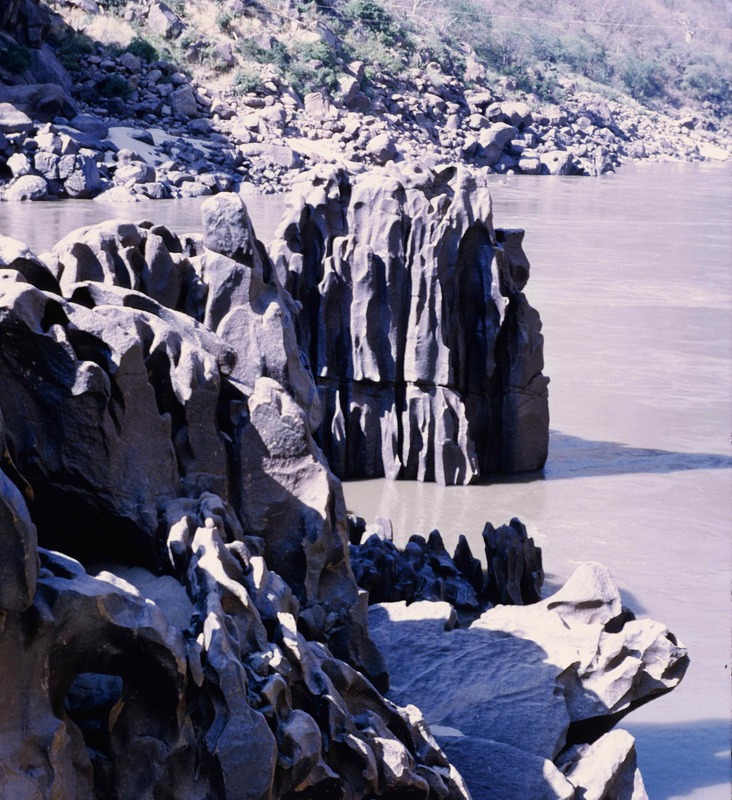 Figure 67 shows potholes in granite at a gorge cut by the Zambezi River, downstream from the Victoria Falls. Figure 67 – Potholes in granite in the Zambezi River (rock face approximately 2 m high) (Cahora Bassa Gorge Mozambique). 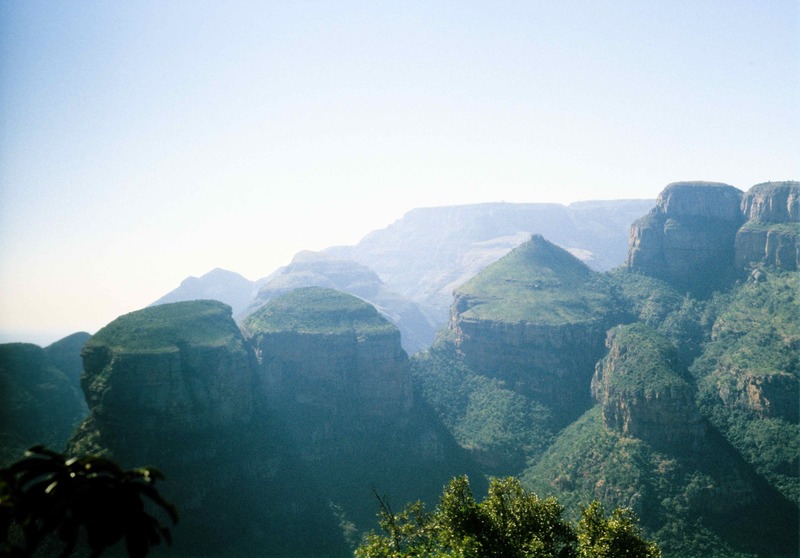 Figure 68 – The Blyder River Canyon seen from the highveld (South Africa). and figure 69 giving an idea of its depth. 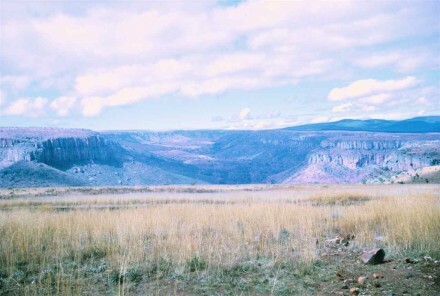 Figure 69 – Blyder River, view down the canyon (South Africa). Figure 70 – The Three Rondavels (Blyder River area, South Africa). followed by a period of very isolated hillocks (fig. 71), and on to the final peneplane stage. 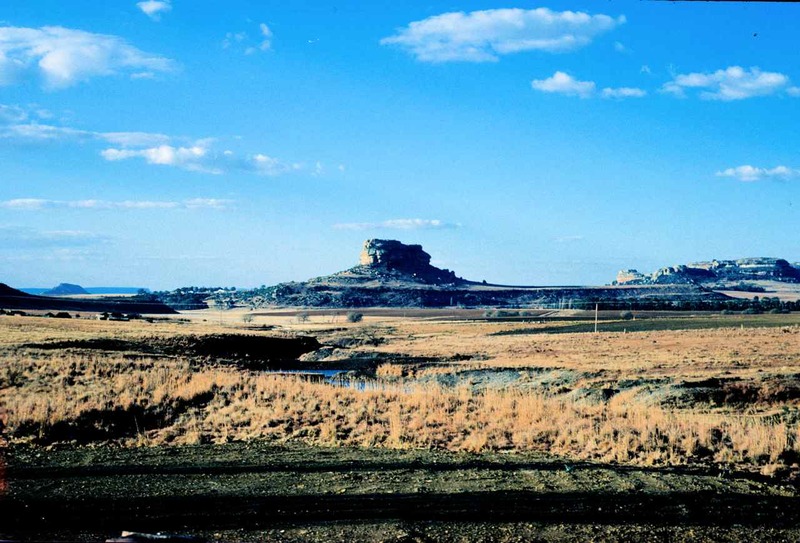 Figure 71 – Isolated hillocks (Golden Gate, South Africa). 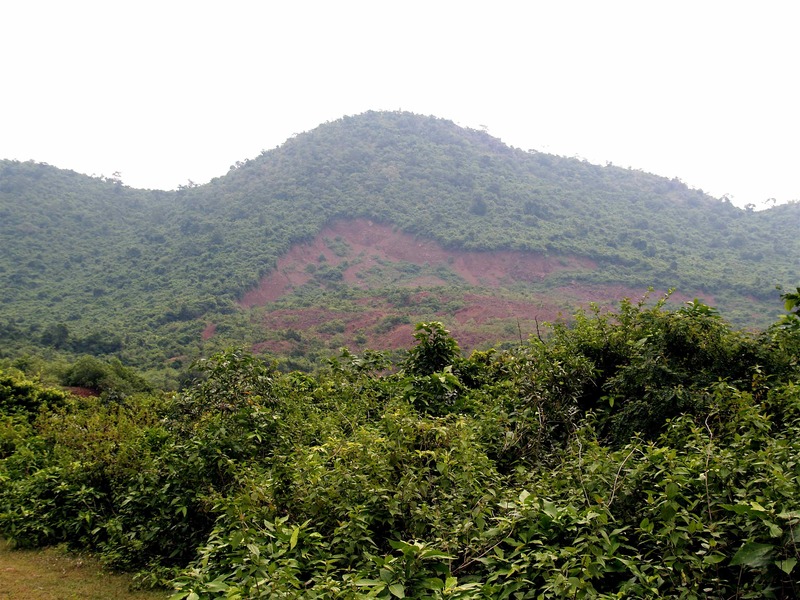 What is also apparent in figure 70 is that the preservation of the hillocks is due to the protection of its upper portion against weather/erosion by a layer of a more resistant bed. In the present case, the protection agent is hardened quartzites/sandstones. The wave action against the coast is another very powerful erosional agent and the undercutting mechanism, already mentioned under gravity, is one of the most important processes (fig, 72). In fact, the impressive crack shown in figure Figure 46C is a magnificent illustration, since that crack is located just above the present picture, where the consequence of the waves incessant undercutting is obvious. The Portuguese coast is in a transgressive stage, that is, the sea is rising. 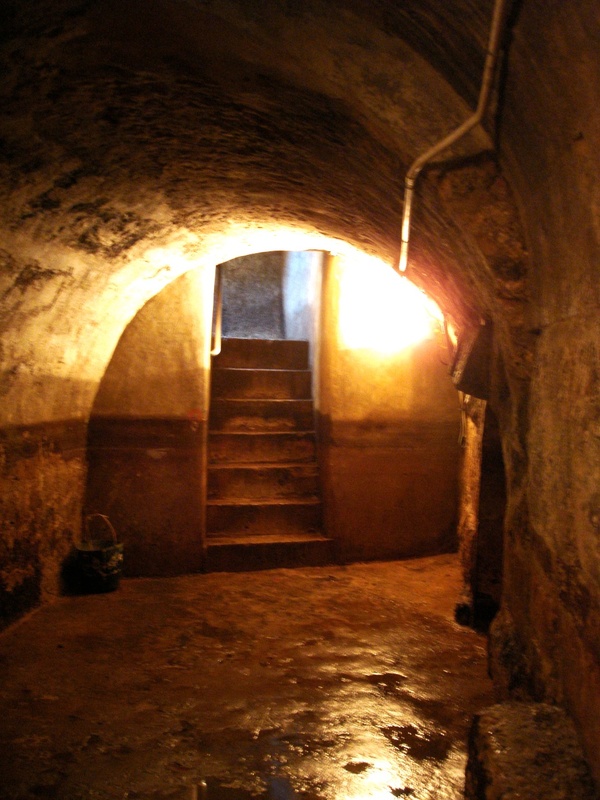 A very impressive example is the Roman galleries located under Rua da Prata in the section of Lisbon close to the Tagus river margin (fig. 72B). Presently the water table at that site is less than 2 metres below the street level and these galleries are completely flooded. To prevent ground subsidence and the consequent damage to the buildings above, only once a year is the water pumped out for a general structural inspection, and it is then open for a public visit. These galleries, built at about the first century AC, are thought to be the foundations of some important building. 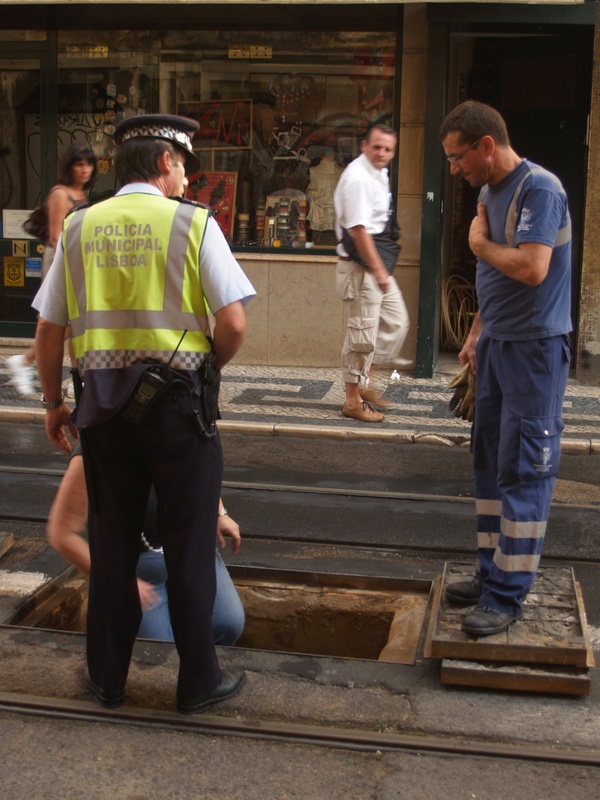 Its, just over 2 meters high arches, are now about 2 meters below the street (fig. 72C), but were above ground at the time of construction. In other words, the sea level is today some 8 metres higher. Naturally this sea level change was not at all regular and continuous since then. There must have been quite a few ups and downs as exemplified by at least one minor ice age during the last millennium. 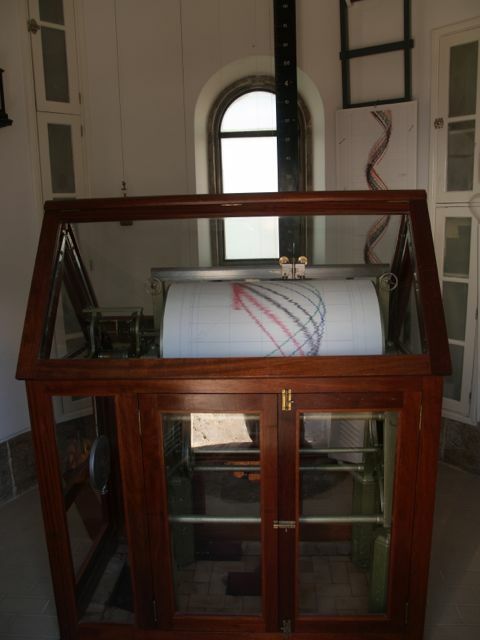 A much more recent example is provided by the data collected by the government’s geographical survey by means of an instrument installed at the Cascais sea side in 1882, and still in full operation (fig. 72D). It has produced a continuous graph of the tidal variations as well as mean sea level elevations (fig. 72E), indicating that the sea elevation has risen 15 cm in the last 100 years. Again, I have no doubt that a detailed observation of that data will show marked irregularities with, I’m sure, a marked increase in the near past. Concluding, sea transgression means coastal erosional. It is therefore difficult to understand that even with all these very strong signs, constructions often extensive, continue being done so close to the edge of the ocean, with no apparent regional structural study. 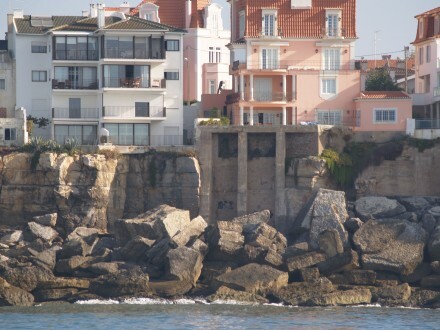 Dramatic examples can be seen along the Estoril coast where some expensive apartments were built right against the receding coast as can be seen in figure 73, where it appears that undercutting is already taking place at the base of the white building. Confirming this, I cannot resist showing how fast this coast line receding can be. Figure 73B, taken in June 2007, shows an apparently resistant looking bed of sandstone. 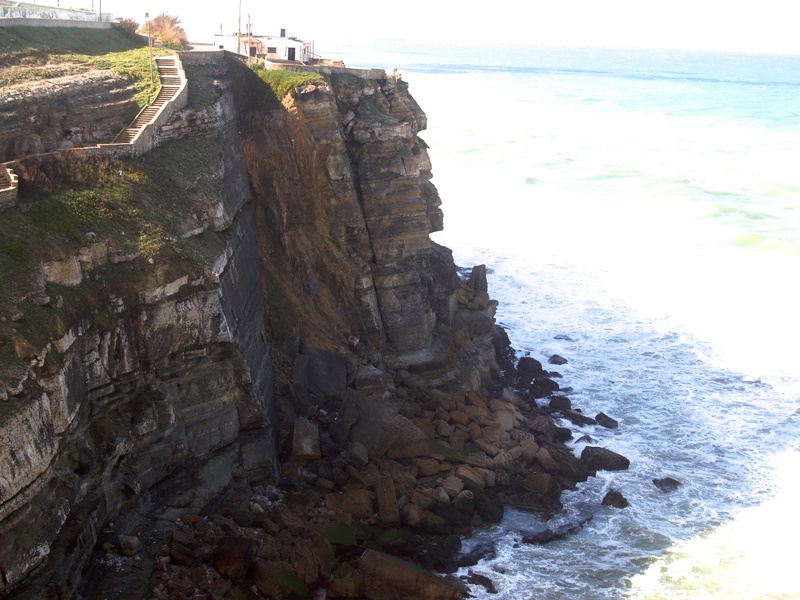 Figure 73B – Cross bedded sandstone at a seaside cliff (photo taken in June 2007) (Azenhas do Mar, Portugal). Now see figure 74 of exactly the same place, but photographed in July 2011. Note that the large block with a topographical marker at the top has disappeared. This collapse must have happened practically instantaneously. Unfortunately I only returned to the sight 4 years later. Still, I think it is quite impressive, but also rather worrying, because at the crest of the escarpment there was a FOR SALE sign, and somebody might just build a house there. 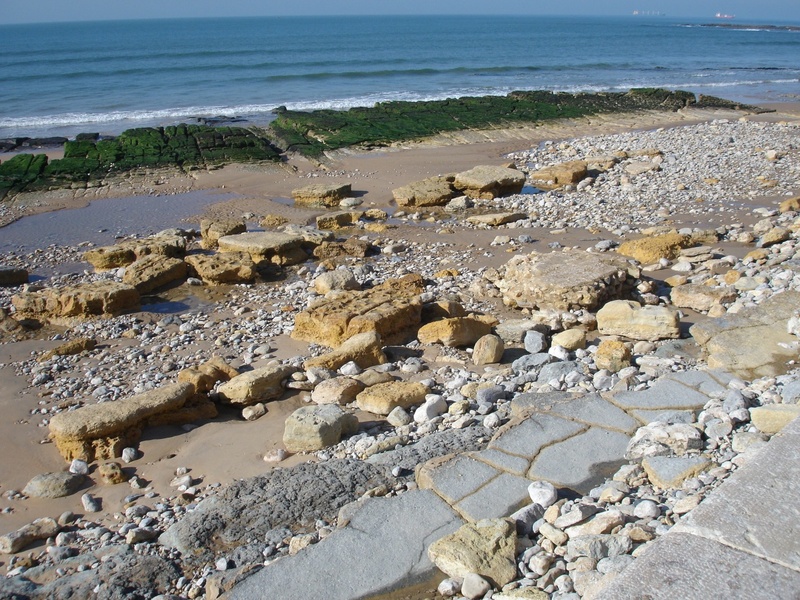 The coastal erosion action is even more enhanced if the coast has structural weaknesses. 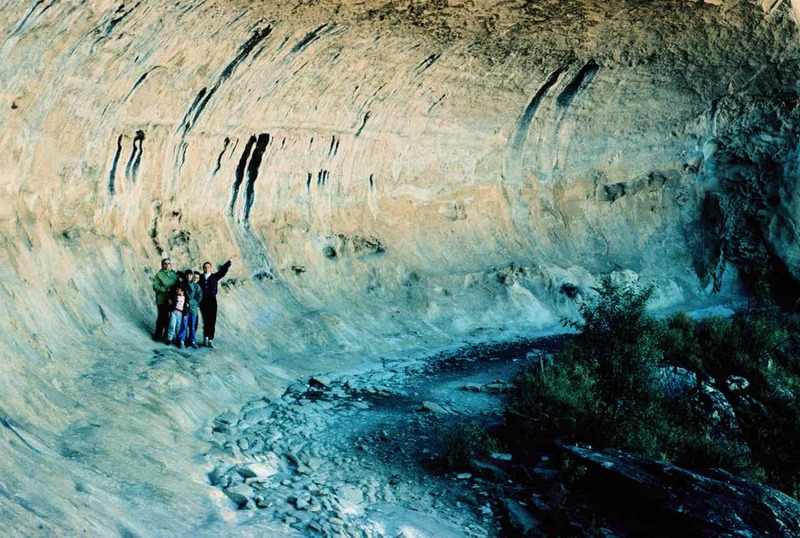 Figure 75 shows how an almost vertical fault gouge of very weathered material acted as an erosional focus and a “blow hole” developed. 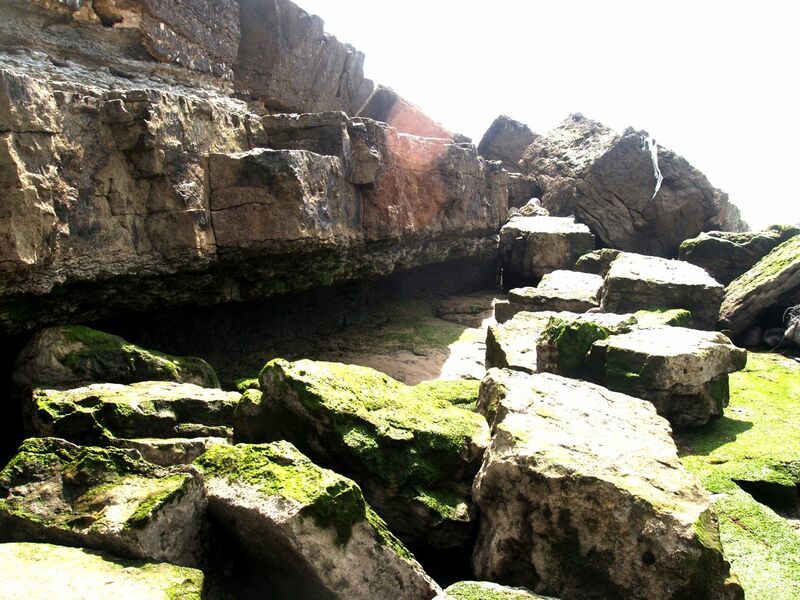 Figure 75 – Blow hole in a limestone sequence (depth approximately 5 m) (Praia da Adraga, Portugal). Far more spectacular though, is figure 75B showing how careful one must be when contemplating living on a cliff by the sea side. 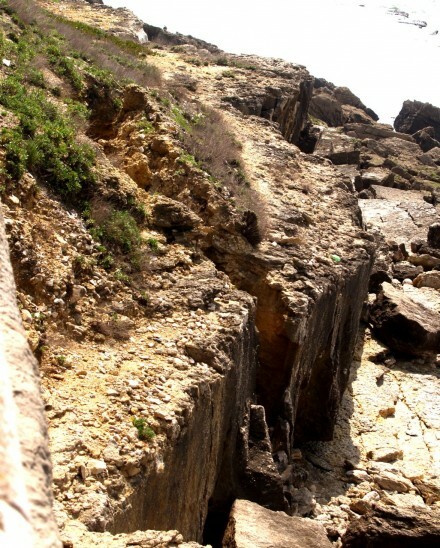 Not only is the destroying action of the waves perfectly clear with the gaps on the horizontal limestone succession but, compounding the weakness of the cliff, there is the vertical highly weathered dolorite dyke, almost completely converted into a brown soil, as well as a very open joint, most likely associated with the dyke. The fact is, this photo was taken in 2013 and, most likely for safety reasons, by 2017 the house had already been removed. and figure 77, with practically no sand. More, in the latter figure, notice the green coloured limestone in the background. 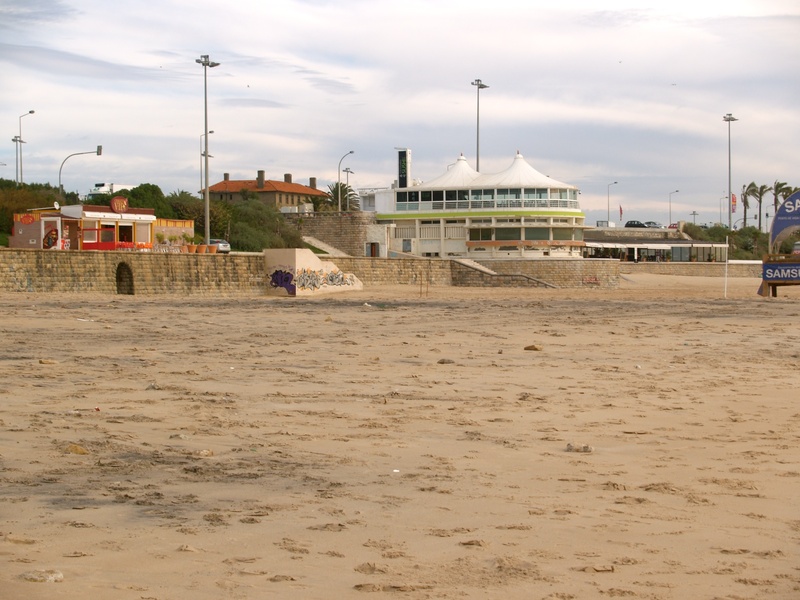 That sector was exposed during the particularly stormy 2008 winter and no extra sand was dumped to cover it. The rock is green because the algae have already had time to colonize the outcrop, which is not the case for the limestones in the mid and foregrounds, that were uncovered during the very strong storms of January 2014. The photo was taken in March and that is why the rocks still have a very clean appearance. 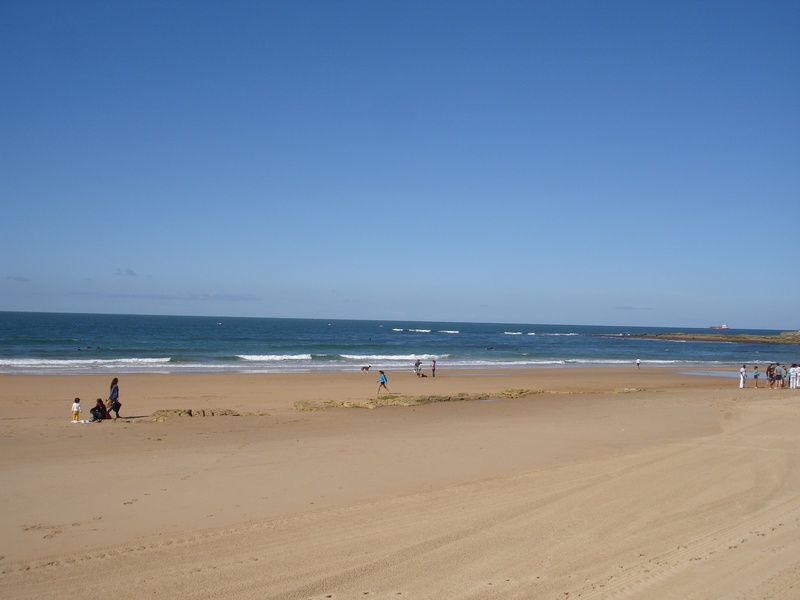 By April 2015, for the start of the Summer season, the municipality covered the whole of the previously denuded area (fig. 77B), with the exception of the tip of the green sector of the outcrop seen in figure 77. Then, confirming that it is a loosing battle, came the rather stormy winter of 2016 that promptly washed away a large quantity of the sand recently dumped, with marked consequences, as shown in figure 77C, this time taken from the sea side. Figure 77C – Exactly the same area, as figure 77B, after the January 2016 storms, view from the sea side. The person with the red jacket is standing next to the algae covered limestone outcrop just visible in the previous figure. At that stage, the local municipality appears to have changed policy, as interpreted by the vast amounts of sand dumped there at the end of winter. My rough estimate is that something like 250000 cubic metres of sand were dumped then. Now, they replenish the beach sand continuously, in a procedure known as “beach nourishment”. Wikipedia defines geomorphology as the study of landforms and the processes that change them. From what has been shown so far it is obvious that erosion is a very important factor. Also very important are the characteristics of the outcropping rock assemblages, especially when they present very distinct structural features, of sufficiently large dimensions. In such cases we have a well marked geological control of the earth’s morphology. Representative photos have already been presented. In the case of figure 14 we have the remarkable, kilometres long sharp ridge caused by a dike which is obviously more resistant to weathering than the surrounding rocks. However, in figure 31 we have exactly the opposite, that is, a very linear sharp trough also caused by a dike, which in this case is far less resistant to weathering. Another very sharp topographical contrast, this time quite circular, is caused by a carbonatite plug (fig. 17). Additionally, observe the impressive outcrop of a granite pluton (item 2.2.3) surrounded by an otherwise well peneplaned area (fig. 78). 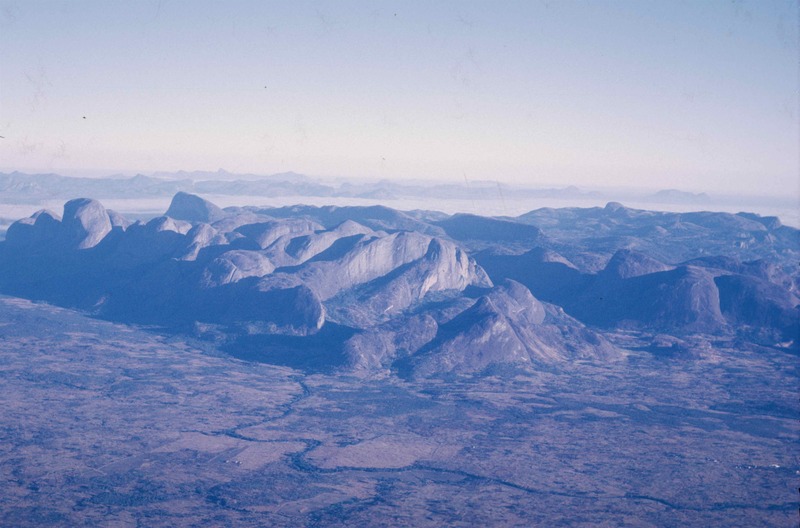 Figure 78 – Huge outcrop of a granite pluton surrounded by a reasonably well peneplaned area (Niassa Province, Mozambique). Also, figure 79 shows how sloping strata influences the land morphology, with on one side the slopes of the hill conforming to the bedding planes and on the other, cutting through the strata, causing a much steeper slope. In fact, this bedding plane is so smooth that it looks almost like a tilted billiards table. 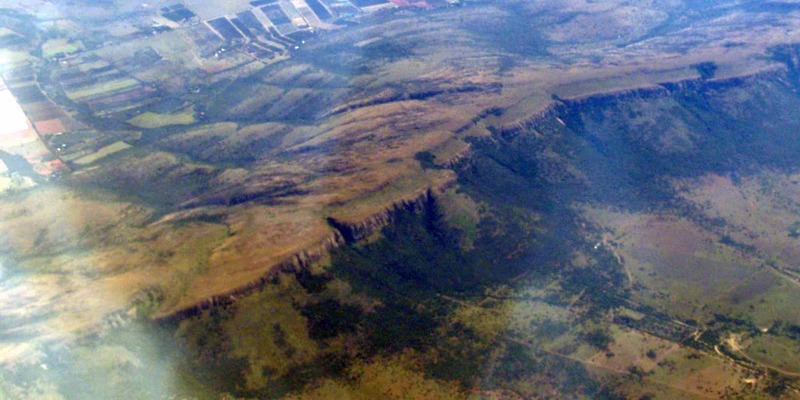 However on high magnification, it can be noticed that the sandstone succession actually consists of a column of relatively thin layers, showing a stepping down succession towards the valley at the foreground. The same can be seen in a much grander scale in figure 80. Figure 80 – Stratigraphic geomorphological control caused by sloping sediments (Magalisberg Mountains, Transvaal South Africa). This geomorphological control has been used advantageously since time immemorial. 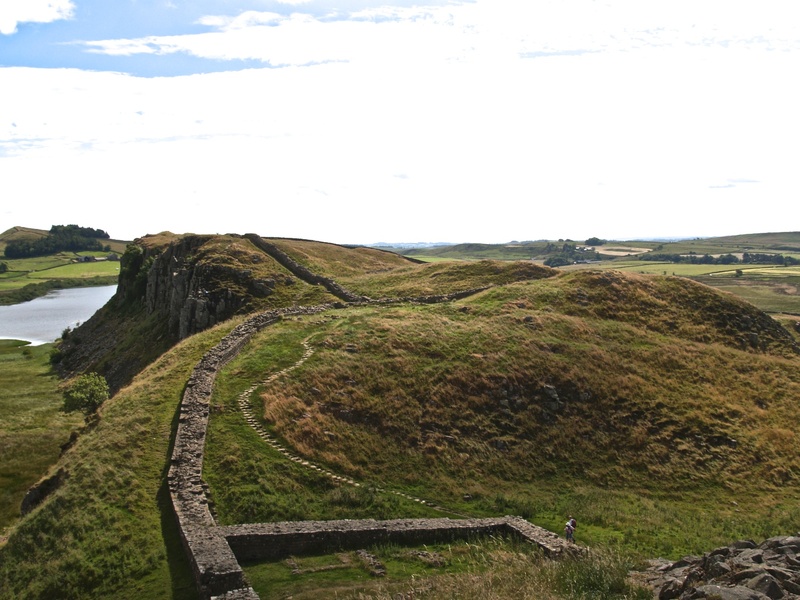 Figure 80B shows how the Romans selected the top of the ridge to build a defensive wall to prevent attacks from those “savages”, the Scots. 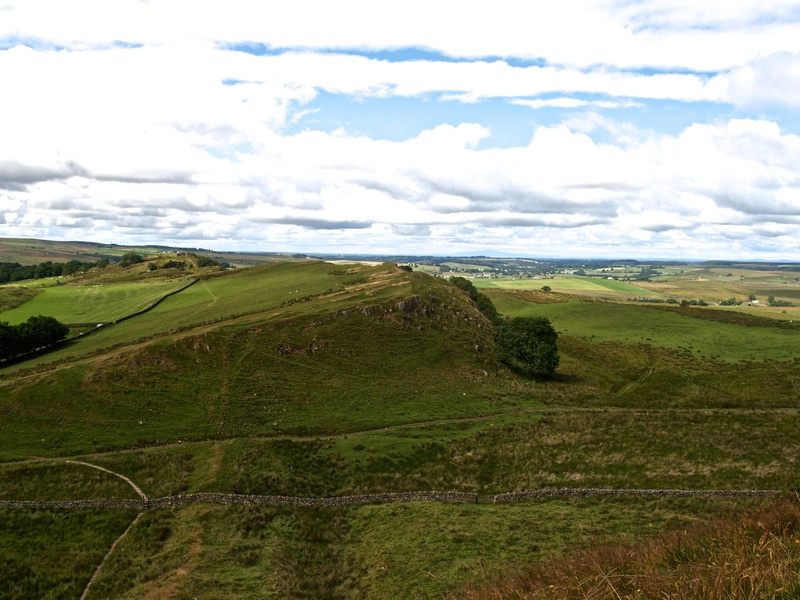 Obviously the Scots lived on the northern side, that is the steep one and the Romans, on the southern side, had an easy slope to approach their fortifications. Another much more modern example is the utilisation of a well developed quartz vein (fig. 80C), for the location of a hydroelectric dam at Chicamba Real in Mozambique. 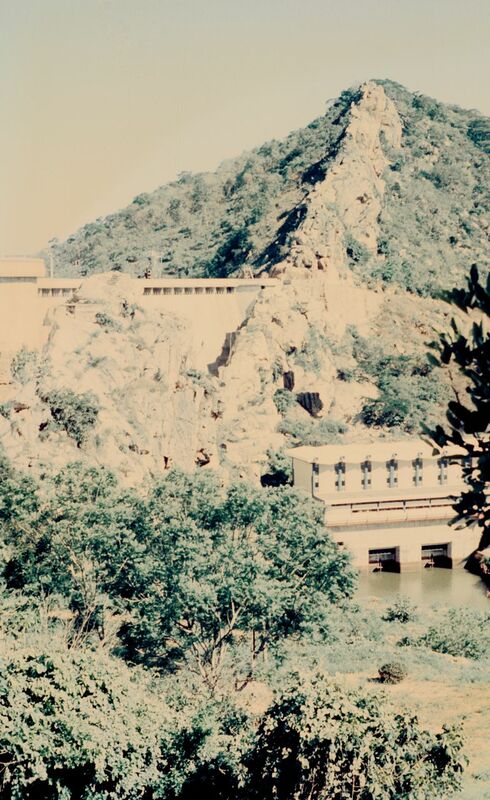 Figure 80C – Hydroelectric dam positioned against a well developed quartz vein (Chicamba Real, Mozambique). 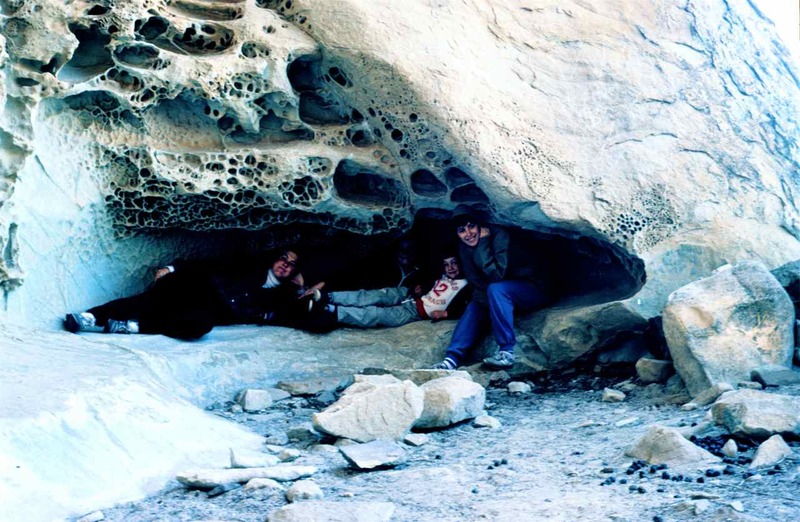 This entry was posted in Erosion, Geology. Bookmark the permalink. I am a photographer who is very interested in coastal erosion. first of all, i wanted to ask where exactly the photograph in Arrábida was taken (there are several Arrábida in Portugal) and also what the name of the place is in cascais . And maybe you can give me some more information about places that are about to dissolve at the coasts of europe – your site was very inspiring so far! Arrábida is the crest of the Setúbal peninsula and it runs along its southern edge. 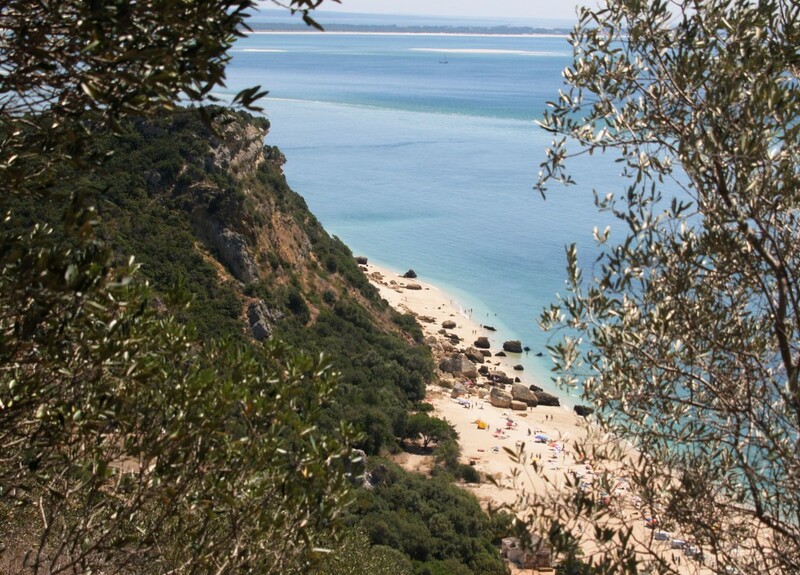 The photo was taken in the vicinity of Sesimbra. 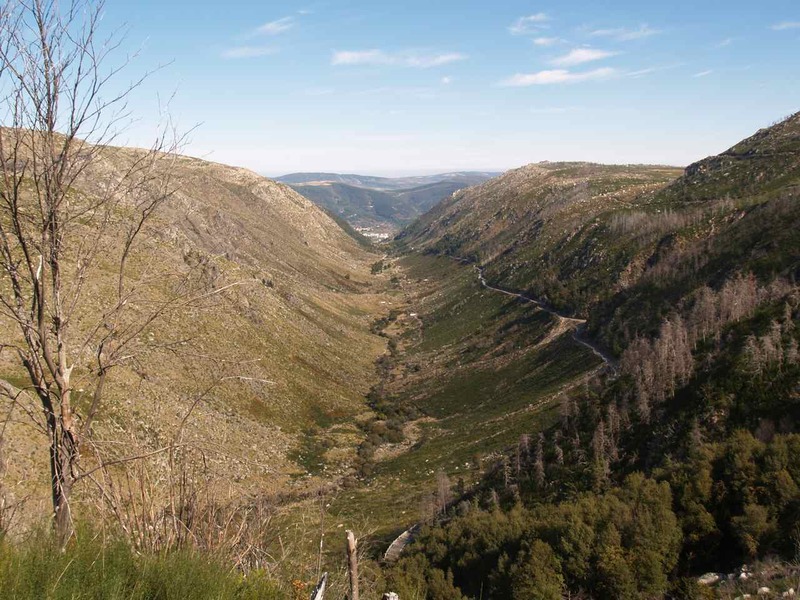 I showed the Arrábida photo because of a very recent mishap along the Algarve coast which was mentioned in the TV news, with 5 fatalities. That is the coast to study for rock falls. 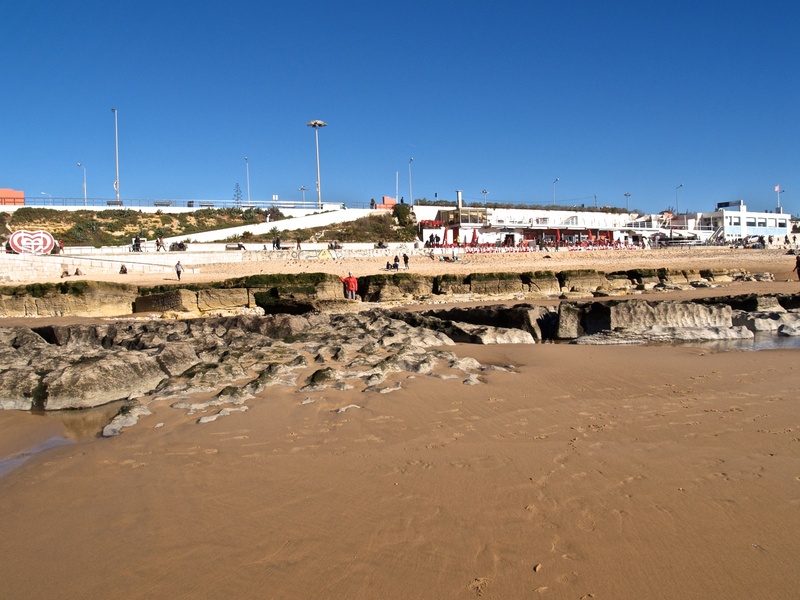 As for the Cascais coast, the rocky section is at Guia and the sand erosion is on the western end of the Carcavelos beach. 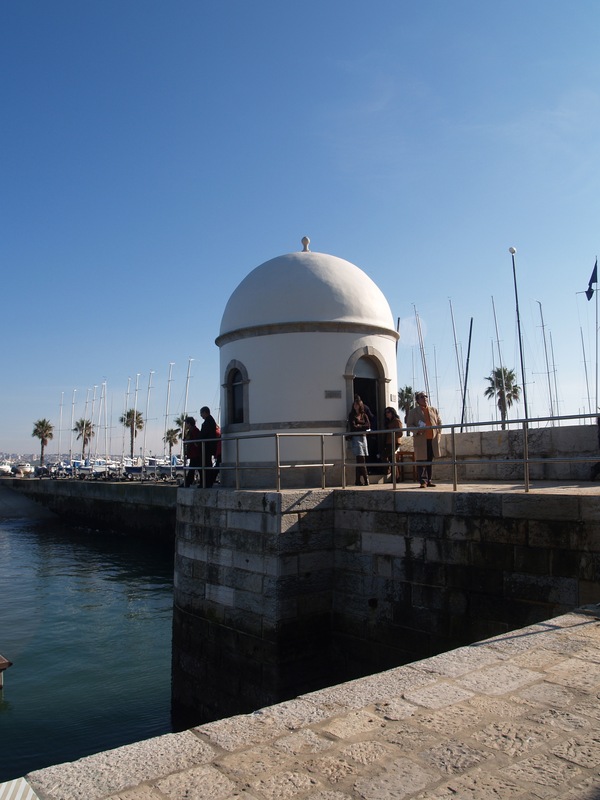 The Cascais coast itself is not that long and it is quite interesting to observe, from Cabo Raso to the Carcavelos beach. Can you please explain what you mean by pins?